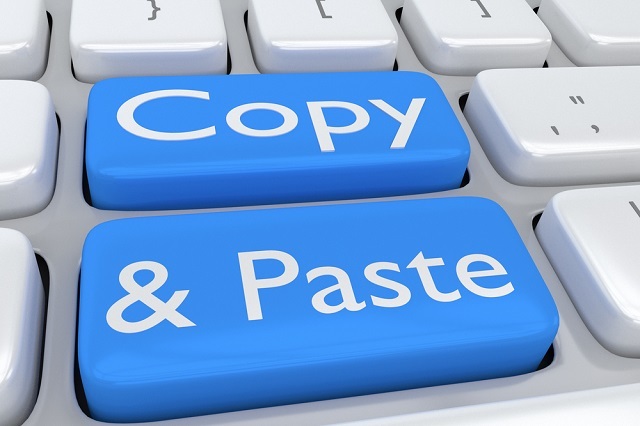 Apparently, some Windows 10 users have been clamoring for the ability to copy and paste both from and to WSL consoles -- a reasonable request. Well, as of Insider Build 17643, this is finally possible. "As of Windows 10 Insider build #17643, you can copy/paste text from/to Linux/WSL Consoles!!! We know that this is a feature MANY of you have been waiting for -- our sincerest thanks for your patience and continued support while we untangled the Console's internals, allowing us to implement this feature. 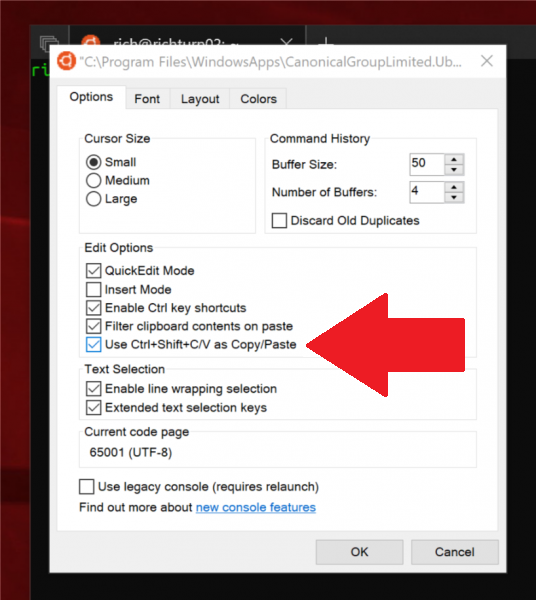 To ensure that we don't break any existing behaviors, you'll need to enable the 'Use Ctrl+Shift+C/V as Copy/Paste' option in the Console 'Options' properties page," says Rich Turner, Microsoft. Turner further explains, "This setting can be set independently for each shell or shortcut: If you pin your shortcuts to your favorite shells (e.g. Cmd/PowerShell/Linux) to your task bar, and modify the properties of Consoles launched via these shortcuts, your settings will only be made to the affected shortcuts. If you later launch the same shell via the Start menu, or the run dialog, your settings will not be found as they'll have been saved to your pinned shortcuts, not your Start menu tiles/shortcuts, or registry settings." As you can see in the above screenshot, this is very easy to enable, and there is no reason it shouldn't eventually make its way into non-Insider versions of Windows 10. Quite frankly, it is sort of odd that this functionality wasn't included from the get-go, as it seems to be a no-brainer. Oh well -- better late than never, I suppose.